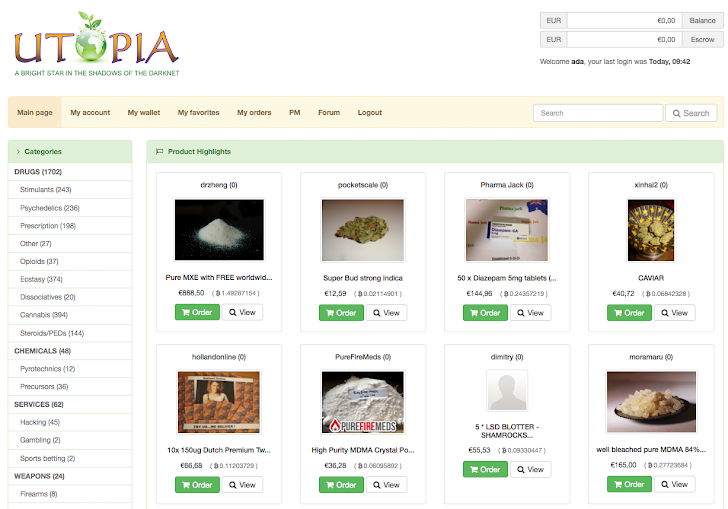 After Silk Road, another underground online marketplace 'Utopia' has been seized by Dutch National Police, where users could buy illegal drugs and guns for home delivery. The police started their investigation under Codename 'Operation Commodore' in 2013, and finally seized Utopia's Germany-based servers and arrested total 5 suspects for running this marketplace. One arrested in Germany and other four suspects, aged 29 to 46, were detained in The Netherlands. Two of them had also been involved in another similar underground website 'Black Market Reloaded', which was closed in December 2013. Utopia reportedly launched only last week (http://ggvow6fj3sehlm45.onion/), intended to become a direct competitor of the Silk Road, was a 'dark web' website, which is accessible only by using Tor anonymity software. 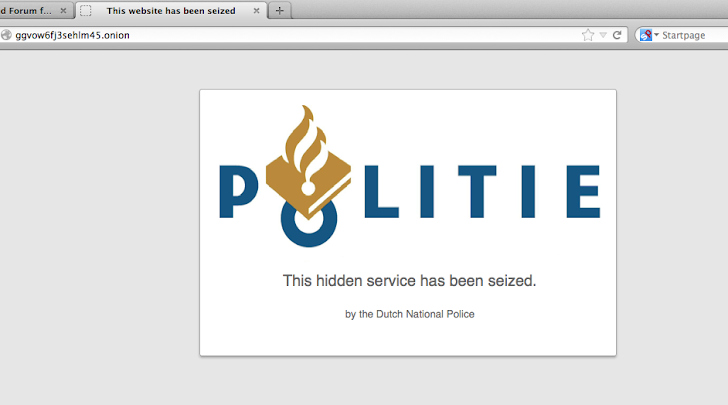 The website is now displaying a message: "This hidden service has been seized by the Dutch National police." Many illegal Drugs, including ecstasy and cocaine as well as guns and stolen credit cards were available through the Utopia marketplace, and also were offering hacking tools and gambling services. Dutch Police have seized 900 Bitcoin, currently worth between $540,000-$815,000 and 21-year-old Germany man could be extradited The Netherlands soon. Dutch police declined to reveal details of how Utopia was closed, instead promising to release more information later this week. On the other hand, the moderators of the site are calling the seizure of Utopia "a serious blow to the darkweb maketplace community" and trying to regroup with other members to launch a new website.